Custom Magnets are great promotional items because the first thing people do with these, is place them on their refrigerator. Hundreds of times a week this button will be in front of your customers, all for a super low price. A simple logo on the front with your name, and website address, and you have an effective promotional tool. 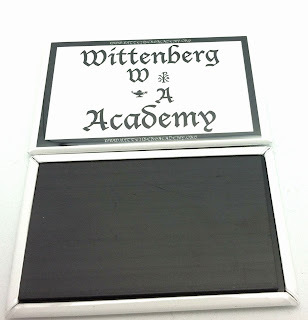 The following button was designed for WittenbergAcademy, an online classical lutheran school. If you'd like a custom magnet for your business, products, or services you can find more information at our custom magnets page. 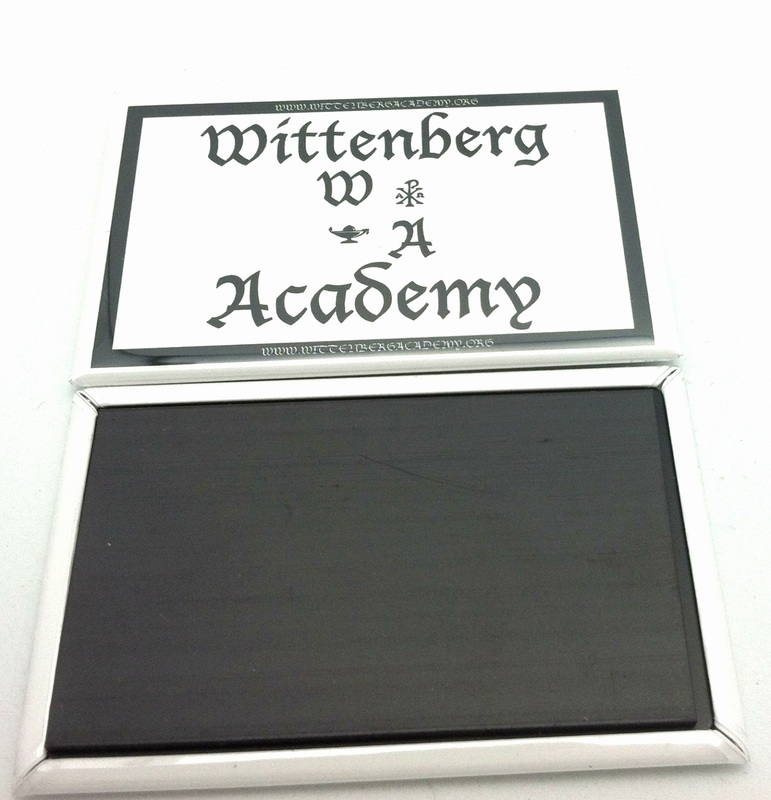 This particular rectangle magnet is 2.75" wide x 1.75" tall, and can be purchased on our custom rectangle button page.